Turning on the Afterburners for Mother’s Day. 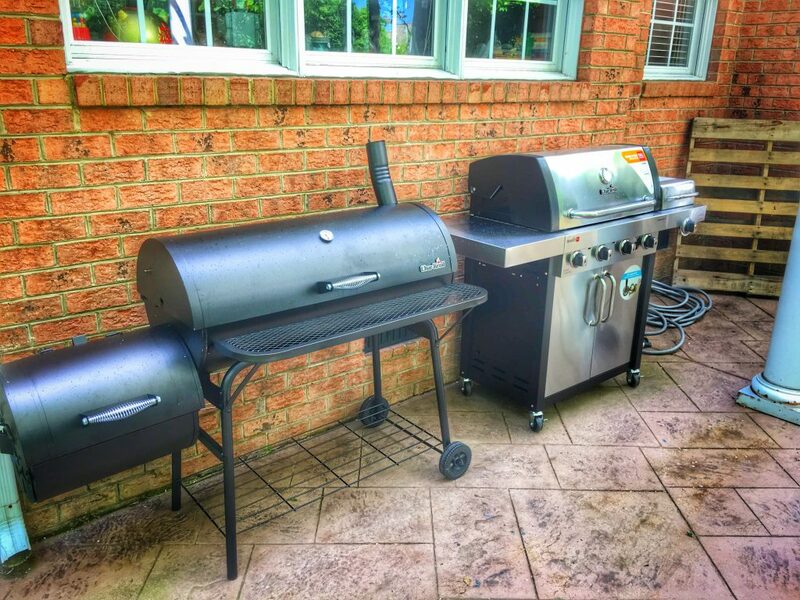 With spring in full swing and summer already nipping at its’ heels here in coastal Virginia, nothing yells out to me more than GRILLING. As most of you who follow my side-winding adventures know, we’ve recently relocated and with that, comes figuring out what to do with the brand new backyard, porch and patio. 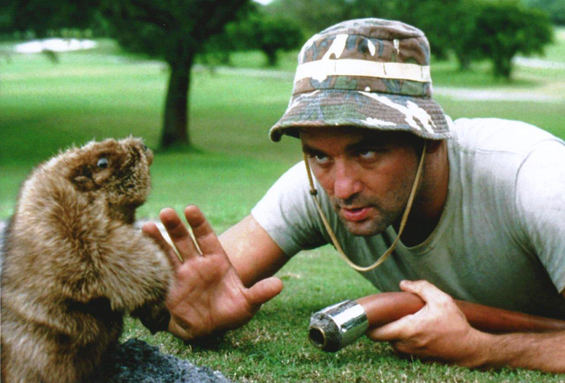 As I was walking around the backyard (trying not to get hit with golf balls – our house back onto the 18th fairway) taking stock of our surroundings, trying to picture where a nice garden might go, channeling my inner Bill Murray and how to get rid of these stinkin’ gophers – I thought about the future of my ‘grilling area’. You see, this is my only ‘man space’. Thanks to the elevation and the coinciding water table, we’ve forfeited the luxury of having a basement in exchange for living on the inlets, channels and rivers that pour in from the Atlantic. And my garage. MY GARAGE. My 2-car garage is harboring everything from that basement we had in Maryland and (whether my wife knows it or not) it’s my mission to downsize and donate so that I can reactivate the Lego tables and get our city up and running again. It seemed to be a matter of coincidence or perhaps fate, that the folks at Char-Broil emailed me to see what I had cookin’. I explained to them my dilemma of having too much patio and nothing to fill it with. 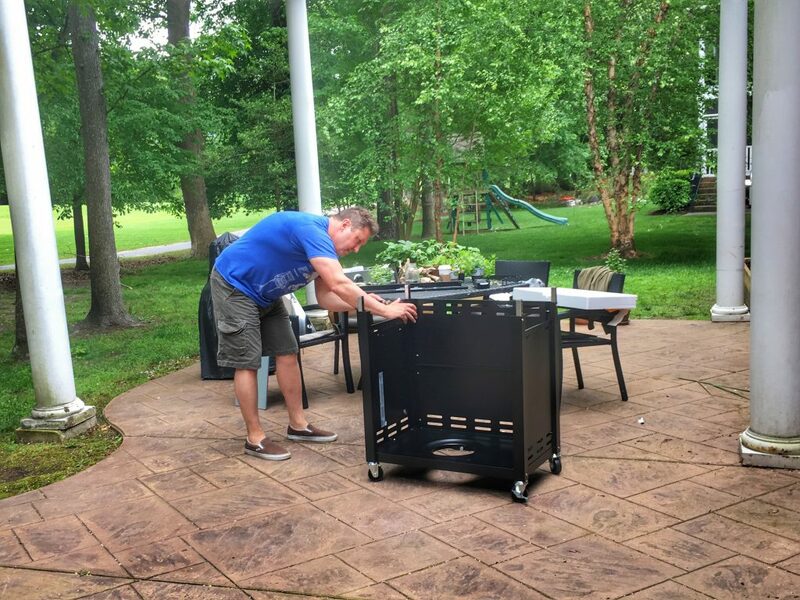 They suggested that I check out their Char-Broil Commercial Series TRU-Infrared 4-burner gas grill – and to match the landscape, I also thought the Char-Broil offset smoker might make a nice addition. When this bad boy arrived, a young lad hopped out of his tractor-trailer and wheeled it around back (I kept the wooden pallet skid – don’t tell his boss – for a vertical herb garden which is coming soon to the DIY section) and I couldn’t help but rip this box open right away. All in, I have to say that this was one of the easiest ‘grill builds’ that I’ve ever done and I could tell immediately by the look of the stainless steel components that this was going to be a quality patio landmark. The assembly only took me about an hour and a half (I might be slow, I was dodging golf balls) and the end result was something beautiful. …and quickly moved on to the most important part – the main burner tubes – which slid in perfectly. 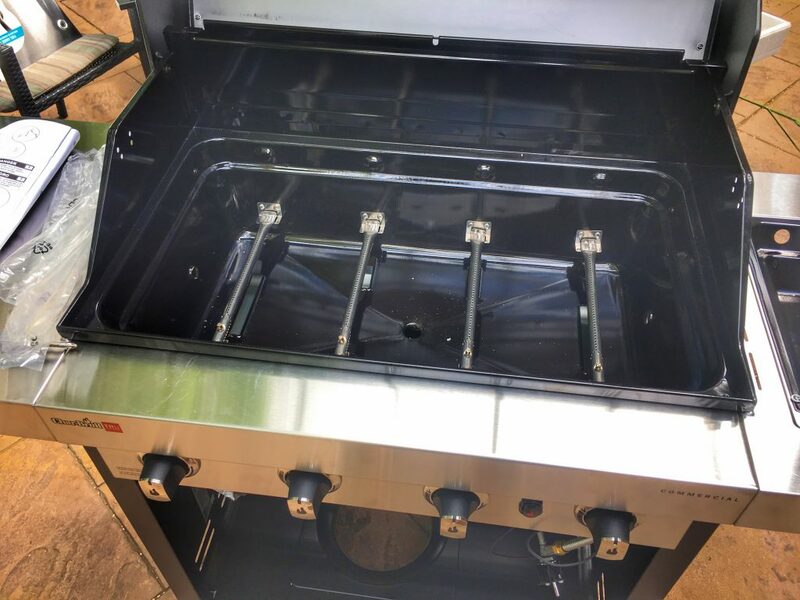 The electrical components snapped in and gave the knobs infinite power over the heat that would rise up through the various layers of this TRU-Infrared grilling system. In all honesty, I wasn’t exactly certain what that meant, until I dropped in the propane, turned on the flow and hit the one-touch Surefire electronic ignition. This layered system not only reduces, but rather eliminates any potential for flare-ups. THIS IS HUGE. More than not, I find myself having to reapply barbeque sauce or EVOO in an effort to resuscitate dried out skewer veggies or sausage coins and in doing so, the extra drips are restrained from hitting the open flame – the impetus for those flare-ups. Mother’s Day was the perfect opportunity to give this grill a workout, with help from my youngest. Outside on the patio, the finished product was perfect, a result of grilling on evenly distributed heat. And on the inside? A gang of happy faces and a smiling mommy, grateful to spend a Mother’s Day meal with those closest to her. 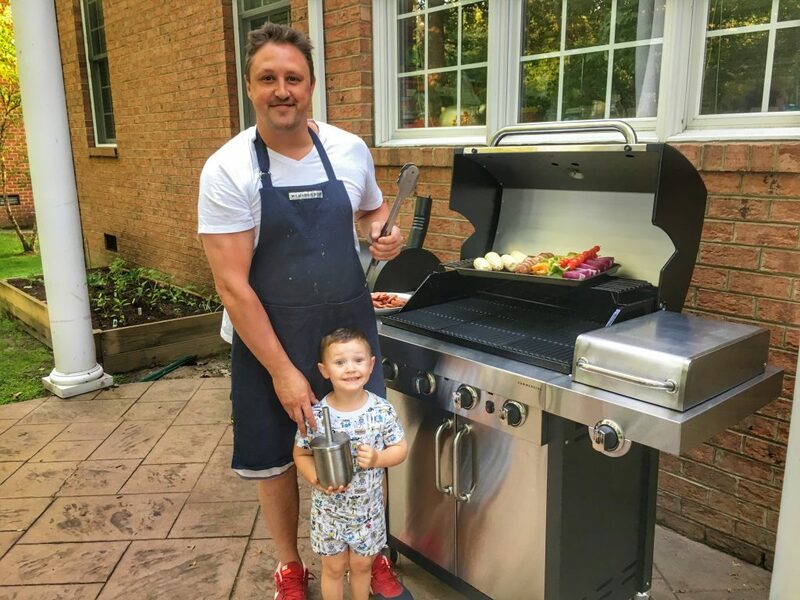 EDITOR’S NOTE: This was a sponsored post on behalf of Char-Broil and their #NowYoureCookin campaign, however, the family time and delicious food are all ours! 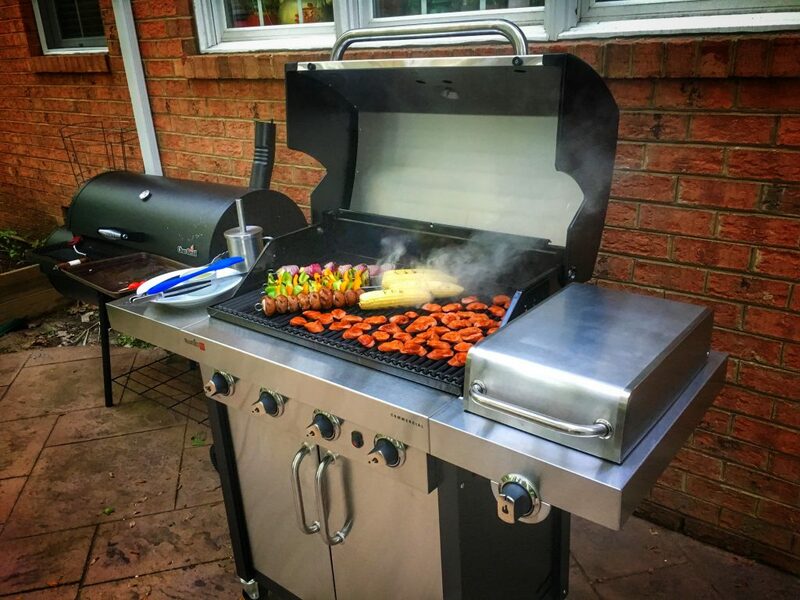 For more information on Char-Broil and this sick TRU-Infrared grill, visit them here, on Facebook, Twitter and Instagram. « A Night at the Movies.